Another major smartphone release is happening today. The iPhone X is launching today at T-Mobile. However, T-Mo says that the all four versions of the device are currently backordered. The 64GB Silver model is estimated to ship between Nov. 17 and Dec. 1, while the 64GB Space Gray, 256GB Silver, and 256GB Space Gray are all estimated to ship between Dec. 1 and Dec. 20. 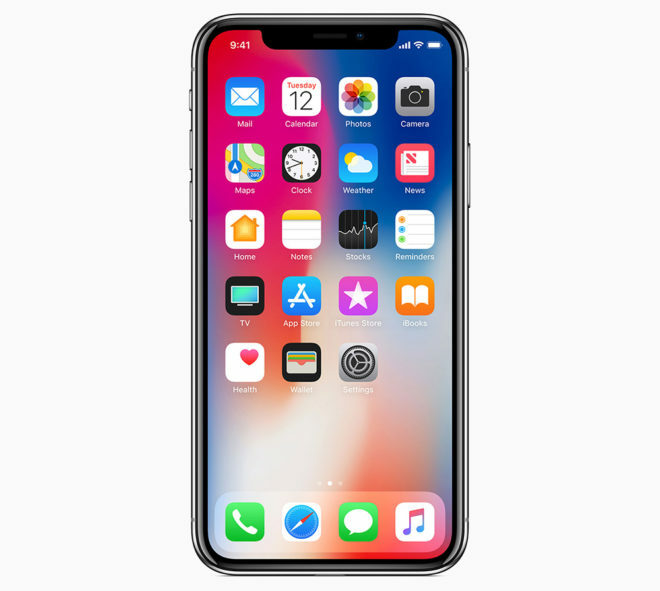 If you don’t want to way weeks to get a new iPhone X, you could try calling or visiting your local T-Mobile store to see if they got any units in. Stock is likely to be limited, but it’s worth a shot. T-Mobile is running a couple deals with the launch of the iPhone X. If you trade in an iPhone 6 or newer (excluding the iPhone SE) and buy the iPhone 8, iPhone 8 Plus, or iPhone X on EIP, you can get up to $300 off your new device. T-Mo is also offering its own iPhone upgrade program. With it, you can buy an iPhone 8, iPhone 8 Plus, or iPhone X and then trade it in when it’s 50 percent paid off. T-Mobile will wipe your remaining payments and let you upgrade to a new iPhone model. This offer does require that you upgrade to the next generation iPhone following the iPhone 8, 8 Plus, or X. Did you get an iPhone X? If so, what are your first impressions? 10 40 am los Angeles time. T-Mobile store here ELA store zip 90022 ran out of iPhones x . In store I just got out . I went to pay my bill. Oh mine. $1K phone. Why has it gotten so expensive? Because there are a lot of people who are able to and are willing to pay the ever increasing price. I can’t justify paying that much for a phone but some people can and the manufacturers know that. $53? It says $41.56 unless you mean with the device protection too. Guys go check this out at any local carrier store, it is a small phone and watching a video on it even on full screen was not really enjoyable to me, compare to S8+ or Note 8. I think on the review videos they make it bigger than it really is (zooming). To me it looked like iPhone 7/8. Well I was disappointed! Yeah well coming from someone who has an iPhone 7 and now an iPhone x.. It is bigger and much better. Screen size is finally great for an iPhone. Side to side, its no comparison. The 7 and 8 look like crap compared to the X and the screen size difference is extremely noticeable. Sadly, a lot of apps are not yet optimized for the X screen size, but I am sure that will change in the coming days. After having the phone for a day, ill say face id works perfect. I am actually extremely happy with this phone and will never go back to the button of the old iPhones. Yes yes please update YouTube. Though I doubt they will. If google couldn’t make YouTube on the Pixel 2 xl full screen, I can’t imagine they’ll do it for iOS. Don’t be so sure. The Hangouts app is a lot better on iOS. I have the note 8 and iPhone X. I must say that the iPhone X screen looks way better then the 7 and 8 but I like the Note 8 screen a tad bit more bigger is better IMO. The Note 8 doesn’t have a 3k screen. Reading comprehension isn’t everyone’s strong suit. Funny, people talking about how bad the price is, but almost everyone here has either pre-ordered from Apple, or the carriers. Or already paid full-price just waiting for it to ship. That is exactly why they keep raising the prices on us, when we buy these phones for a set price, the manufactures see that, and they think that because sheep will still buy the latest iPhone or Note 8, then it must be okay, and they can keep raising the price more. So are you calling yourself a sheep? No, because I refuse to wait in line and pay $1000 for a phone, especially when I can buy one for $400 that does everything I want it to do, like the ZTE Axon 7, or OnePlus 5, or a flagship from a few years ago(LG V20, LG G5, Sammy Note 4, Sammy Note 5, Sammy S6, Sammy S7). Or even one of the budget phones, like the ZTE Blade Z Max for $150, LG Stylo 3 Plus for $150, or LG K20 Plus for $130. And FYI, I still use my LG G2 as a daily driver, because it still does what I need it to do. I will probably upgrade to a $150 Stylo 3 Plus once this one stops working, or I might get a V20, they should be quite cheap by the time this phone breaks. I won’t get a brand new flagship, because there is no point in buying stuff for full price, when in 6 months, it’s value will drop by 50% when the newer model comes out. The G2 is a awesome phone. Always was. I still have mine as a backup and wouldn’t mind using it if I needed to. The only reason I am thinking about an upgrade at all is because of two things. 1) This phone is getting old so it might break easier. 2) Since this phone was released, T-Mobile has added LTE on band 12 and 66, and is deploying on band 71. Some areas my phone doesn’t get coverage, whereas a newer one would. That’s also why I have not switched to a G3 for $80 a few weeks back. I am looking for band 12 support. Of course, I suppose, a G3 is still an upgrade, 5.5″ 2560×1440 display, 3GB RAM, MicroSD, removable battery, official Marshmallow ROM, faster CPU, Apt-X, Qi wireless charging. Puts it on par with most of the mid-rangers in 2017/18, so maybe the omission of band 12 is not that bad. I wonder how many of these folks who purchased/pre-ordered the iPhone X had return the phone because its not what they expected Lol…? I was looking forward to the iPhone X, but after seeing so much leaks, the iOS 11 announcement & the announcement of the X, I am happily to say that I don’t regret making the purchase of the Note 8.